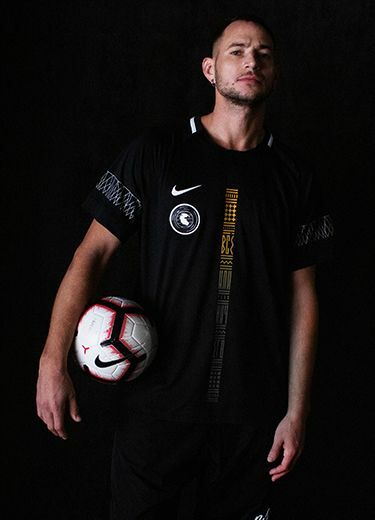 Nike joins forces with Russian hip-hop artist L’One to create a limited-edition football jersey. 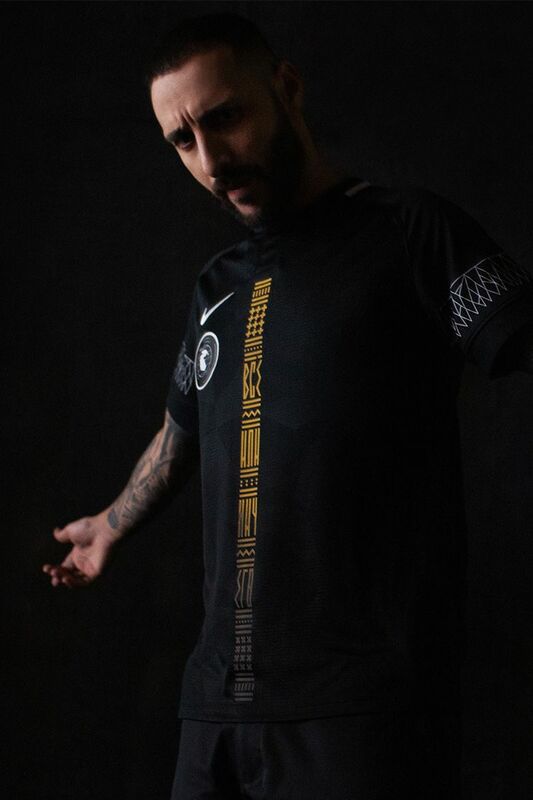 The shirt reflects the artist’s personal design story through symbols that represent important elements in his life, from his motherland, his family and, of course, his music. The badge on the chest depicts a rocket flying around the ancient supercontinent ‘Pangea’ after which his latest album is named. 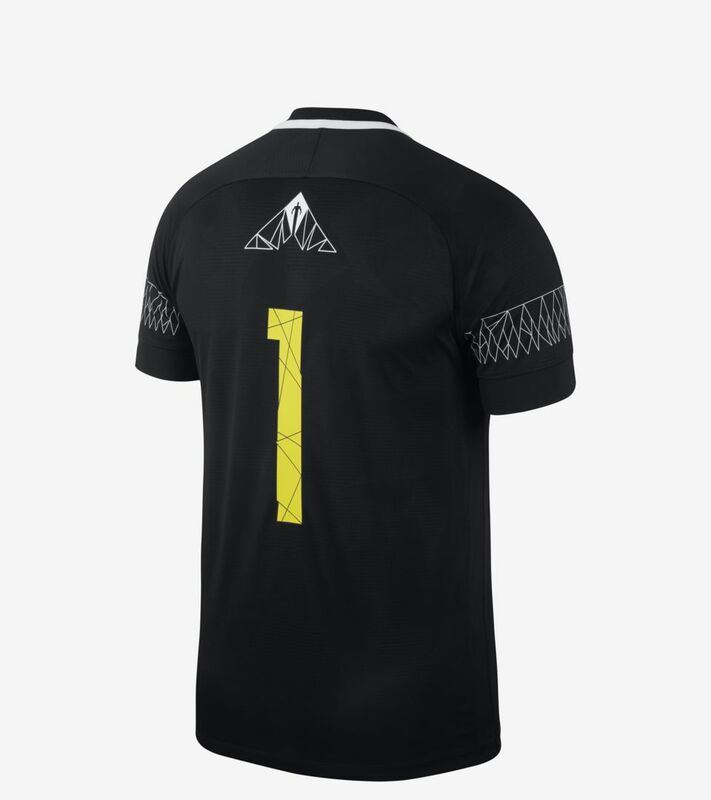 Down the shirt’s centre, a colour-changing band goes from black to yellow as it heats up, revealing the slogan ‘все или ничего’ (‘all or nothing’). This design is inspired by the ‘serge’, a ceremonial pole used by the Yakutsk people—a nod to L’One’s roots. 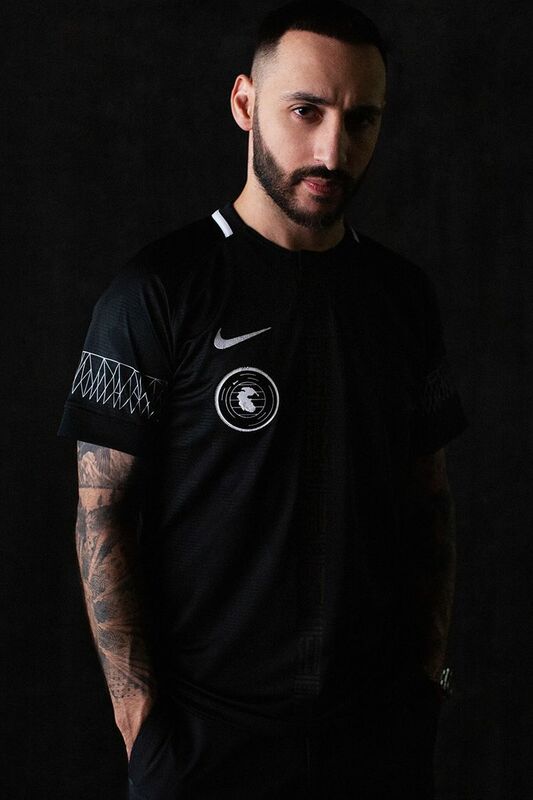 Black graphical elements on the sides of the jersey nods to the lyrics of L’One’s track, ‘Black can shine’. 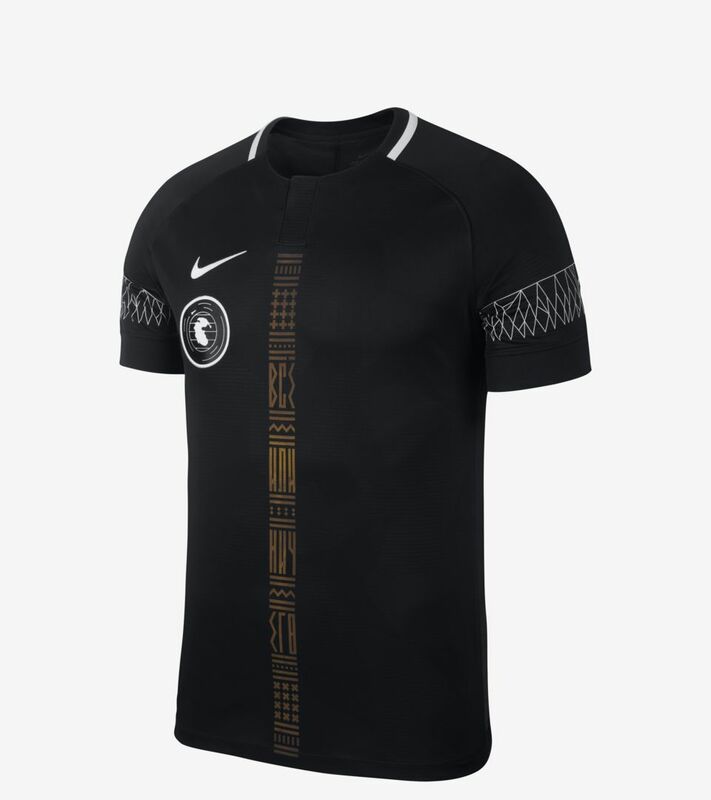 Their design mimics the architecture of Moscow’s Olympic Stadium, with the numbers ‘81118’ calling out his famous concert there on 8 November 2018. The sleeves feature patterns that symbolise ice formations and more Yakutsk designs. The number in the artist’s name is found on the shirt’s back, also referring to his song ‘The Time of the First Ones’. And immediately above it sits a graphic heroing the first man in space—Yuri Gagarin. The inner pride sign is a copy of a tattoo on L’One’s back—the words ‘Ar dahebde’, meaning ‘never surrender’ in Georgian—another reference to the artist’s ethnic roots. L’One is one of the most successful hip-hop artists in Russia. Once a pro basketball player, injury forced him retire early and devote himself to music. A self-made man, L’One is has earned the respect of Russia’s younger generation by leading by example. He encourages his fans to follow their dream, to be original, and to express themselves with no fear, through music, style and more. 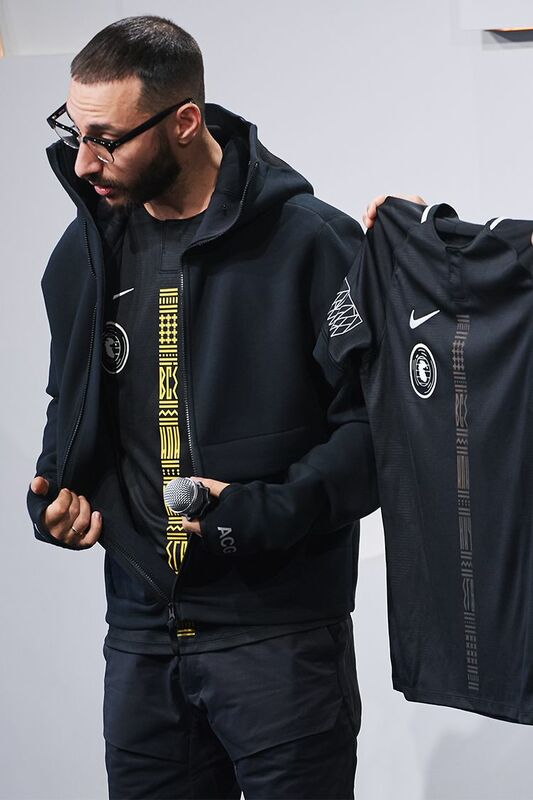 Immediately after his concert in St Petersburg on 27 October, L’One took to Instagram to announce to his followers that the jersey he’d just been wearing onstage was the limited-edition Nike by L’One collab. 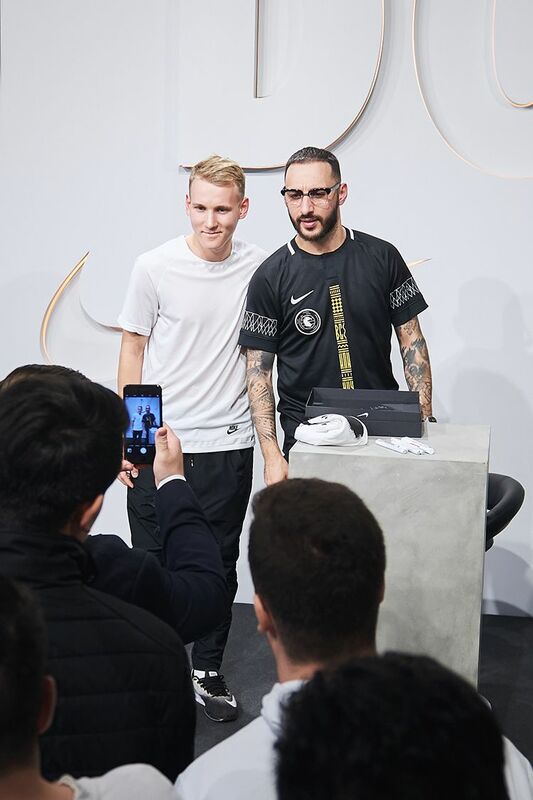 And what was more, he was inviting them all to meet him in person at Nike Moscow on 3 November, where they could get their shirts signed and talk to the artist himself about the inspiration behind the jersey’s design. On the day, his fans queued up outside long before the store opened and when the Q&A eventually started, the energy in the room was palpable. 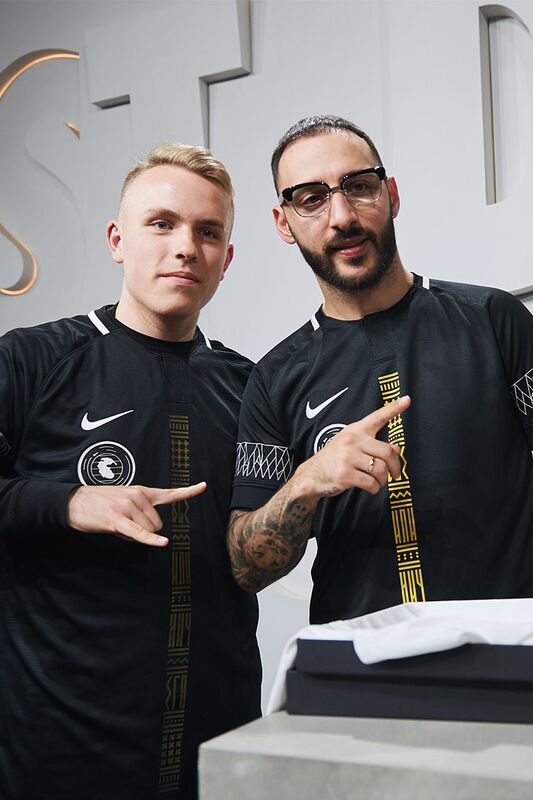 Interest in the jersey was huge, and nobody wanted the session to come to an end—least of all L’One, who later stated how delighted he was to see so many young faces inspired by his music and his story.